The Cockapoo is highly intelligent, retaining much of that from the Poodle breed, and becoming very popular as a companion animal. A sturdy little dog, they have a great disposition. This breed can also be somewhat passive and can also be dog aggressive if not given the proper socialization. The Cockapoo is a mixed breed without a breed standard, however the preferred coat is dense, curly or heavily wavy, and close. 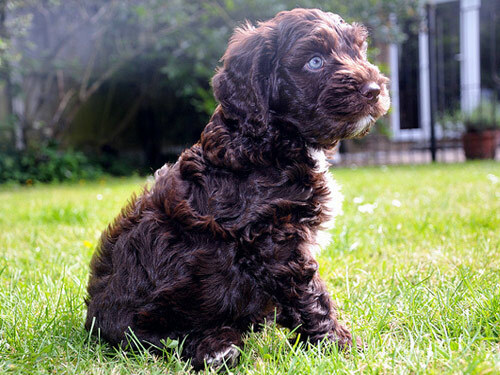 The Cockapoo should carry coat characteristics from both the Poodle and the Cocker Spaniel.